WE'LL MAKE YOUR EVENT ABSOLUTELY UNFORGETTABLE. CAPTURE. SHARE. PRINT. LAUGH. REPEAT. THE SELFIE STATION MAKES EVERY EVENT MEMORABLE. GUESTS MIX, MINGLE AND MUG FOR THE CAMERA. 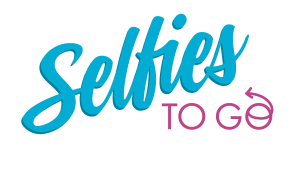 Selfies to Go Photo Booth Rental is a perfect addition to any party or event. You enjoy the party, we’ll capture the memories. You’ll even get a USB and an online gallery of every single photo we take at your event. Our attendants are trained to bring out the best in your guests and bring even the quietest wallflower out of their shell! Guests of all ages will enjoy mugging for the camera. No walls, no booth, no limit to how many people are in your photo! Guests can don fun props, pose all night long, and instantly print. text, email, Facebook or Tweet their photos. We have unlimited customization options available. All you have to do is stand in front of the Selfie Station, strike a pose and smile. The Selfie Station will allow you to print, share & text on the spot. You can instantly share your selfies to text message, email or social media. Create cool hashtags for your event for maximum exposure. Print your selfies on the spot. It only takes 9 seconds for a print! You can choose from our classic photo strip version or a 4×6 full color keepsake. Selfies To Go is the newest photo booth option in Minnesota, the only difference, we don’t have a booth. The Selfie Station is an open air stand alone machine that looks like a big smart phone. With our interactive 32″ touch screen, the Selfie Station is an amazing addition for any party or event. While the bride and groom dance the night away, your guests will love taking selfies with the option of printing, texting and even sharing them instantly with friends! Best of all, it’s totally customizable! You can brand your event or special day with logos, special backdrops and more. Treat your guests to this amazing photo booth “less” experience, and let the fun begin. What Features Does the Selfie Station Have? Find out what makes our photo booth experience different than all the rest. We're more than just props and a camera. We're not your typical photo booth. We're more. So much more! Indoor or Outdoor Open Air Style Local Photo Booth Rentals for Weddings, Birthdays, Corporate Events, Charity Events, Marathons, Anniversaries, Family Reunions, Quincineras, Sweet 16, Festivals, Graduation Parties, Proms, Sporting Events, Bar / Bat Mitzvahs or any special event. We provide photo booth rental service in the Mankato, Minnesota, Minneapolis/St. Paul Metro Area, Rochester Area, Owatonna Area, St. Cloud Area, Eastern South Dakota and Northern Iowa. Outside of these areas? Contact us and see. We love to hit the road! All photos on this site are actual photos of our events, customers, staff & our props. No stock photography here! WYSIWYG Photo Booth Rental!